NOTE: See below for information on how to obtain RACE CE credits for this webinar. CE credits are available to HSVMA members. 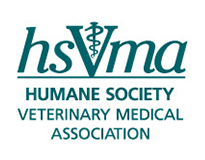 If you are not yet an HSVMA member, please go to www.hsvma.org/join to sign up before requesting a CE certificate. Watch the webinar recording above. We will email your CE certificate within two weeks of submitting a passing score (70% or better). Be sure to add hsvma.org to your safe senders list so your email provider does not misdirect your certificate to spam. Contact us at [email protected] if you encounter any problems or have any questions.